Are you tired of searching music by artist or album name? Are you tired of opening up a new device to play your CD or Vinyl Albums? Are you tired of your favorite CDs or Vinyl Records being damaged from repetitive playing? 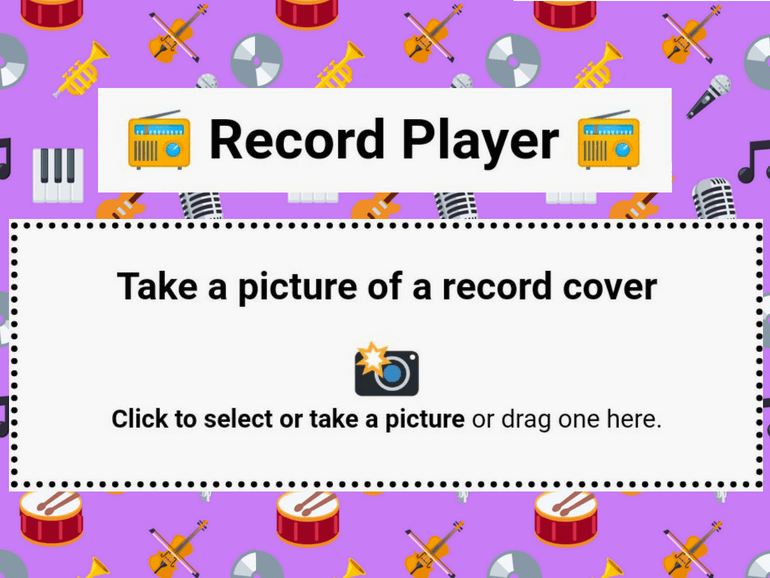 "Record Player" by Patrick Weaver, Mouse Learning Design Manager, is here to save you from damaging your favorite album! Record Player is an application made with Glitch. It requires a user to log into their Spotify account then upload an image for Google Cloud's Vision API to recognize the image and play the identified album on Spotify. Find the Record Player here and identify random music using any random image you find! Follow @patrickweave_r to see more fascinating creations by Patrick! < Emoti-Con 2018: Young People Lead and Make Change with Tech!